There’s nothing better than working outdoors and doing a job where you can see the positive results of your hard work. Lawn care technicians spend most of their days in the field problem-solving and providing services that beautify customers’ lawns. If you’re someone who enjoys fresh air, tackling challenges, working on a team and making a difference, you’ve got the important qualities we look for in a fertilizer technician. Wonder what it would be like to work as a lawn care specialist? Hop in the truck with Shawn Kint, our operations manager, who shares a day in a life as a fertilizer technician: the typical routine, responsibilities, benefits and the culture at Grassperson. The first half-hour of every day is spent at the Grassperson headquarters, beginning with a tailgate meeting with the manager to talk about properties on the schedule. 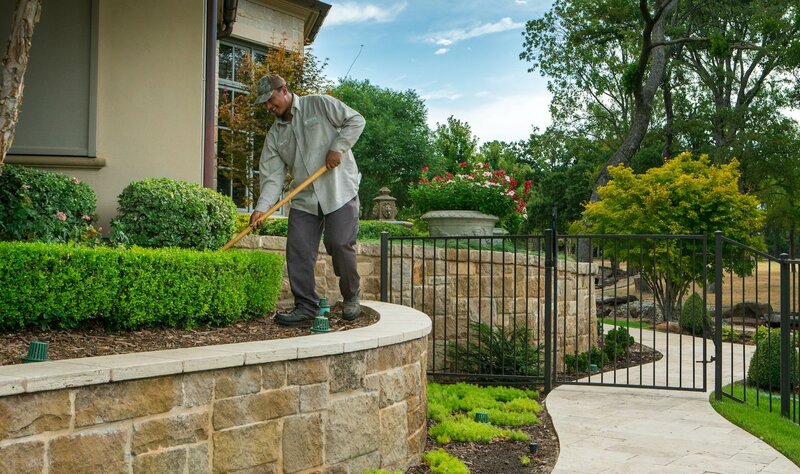 We discuss each customer’s lawn care needs and address any special circumstances, whether that’s making sure the fence gate is properly latched or taking a look at a lawn care issue the customer noticed. We also touch base about weather and traffic. 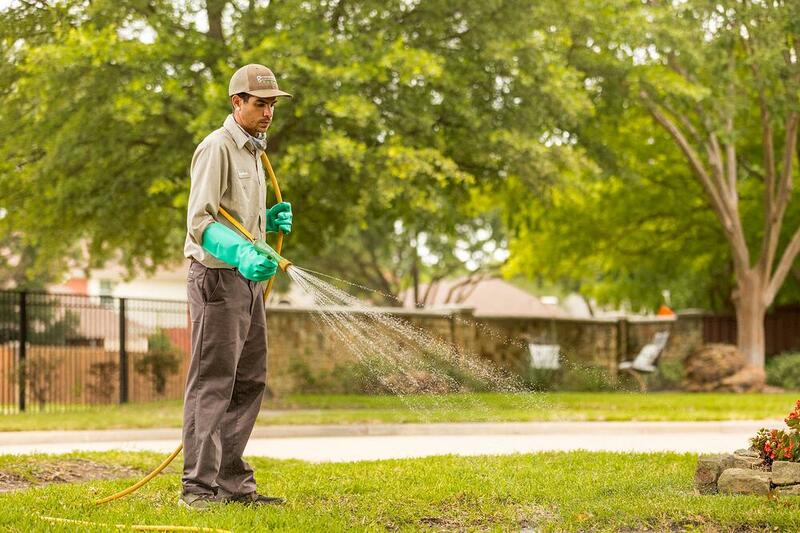 If there’s high wind, we talk about what to consider when spraying lawns. If an area of town has lots of road construction, we’ll map out alternative routes to avoid spending too much time in transit. Ultimately, that daily kick-off meeting is a time when we focus on the customers we’ll serve that day, and it sets the tone for ongoing communication with the office. 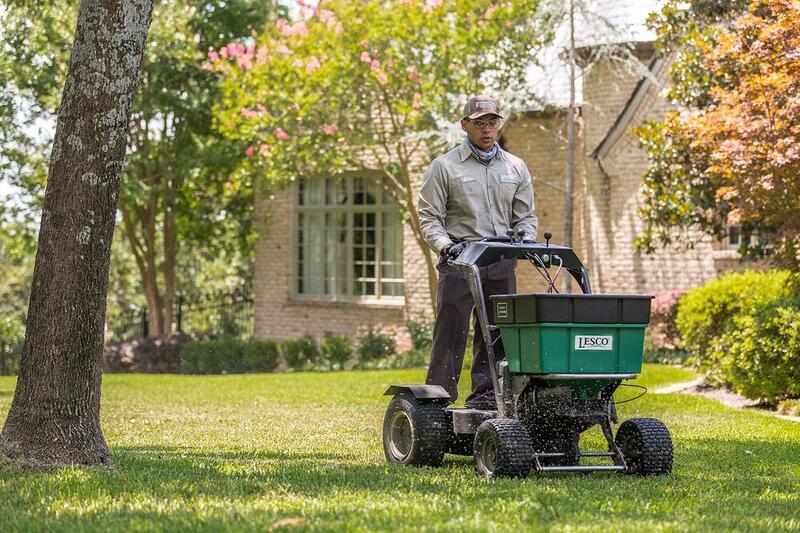 A lawn care technician job description includes scouting, diagnosing and treating lawns. The first thing we do when we arrive on a customer’s property is analyze the site. We look for weed and disease pressure, and we note any conditions that require attention. Then, we knock on the door to hopefully have a conversation with the customer about the service we’ll provide that day. 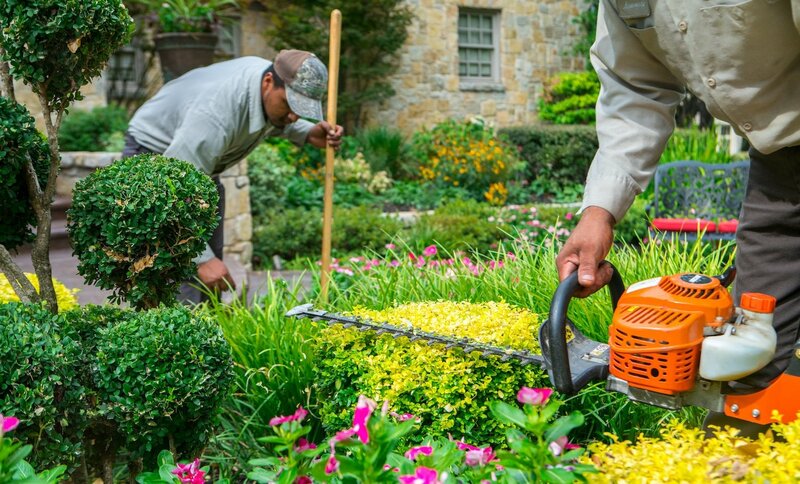 If no one is home, which can happen often, we communicate that back to the office so our team can send the customer an email describing any issues we notice on the property and the treatments we’re applying to their lawn. While a lawn care tech’s job is to focus on the lawn itself, we don’t limit our assessments to just grass. If we notice that trees or shrubs need pruning, we’ll bring this to the customer’s attention. If the grass is being mowed too short, we’ll educate the customer about proper mowing height and why that is important for turf health. We are the eyes and ears on our customers’ properties, and we treat their lawns as if they were our own. That means deciding what’s best for the lawn. We’re not lawn care robots—every lawn needs something different, and our treatments are customized to address properties’ individual needs. We really are problem-solvers using a range of tools to give customers the best lawn on the block. On every property, we take multiple pictures of the front, back and side yards so we can keep track of the lawn’s progress. These images help us identify areas that need improvement, and they’re a great way to measure performance. We can show customers how far their lawns have come with our service. 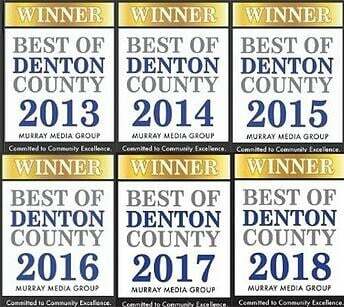 For our team, having these pictures helps us determine what services the lawn needs—and it’s a way to celebrate our success, too. It’s fulfilling to look back at early photos of a property and see how our service is really making a difference. It’s a team effort. Mid-day, we break for lunch—a great time to unplug for a bit and recharge for an afternoon of servicing lawns. After that, we touch base with the office to get any updates about the properties we’ll service next. If we’re ahead of schedule, we will find out whether additional customers can be added to the day’s route. Ongoing communication with the office is helpful because we get support from staff—if we need more product, a piece of equipment, information about a customer. And we give the office details they can input into the system so customers know exactly what happened on their property that day. After the day’s route is completed, we return to the office to unload the trucks, clean up our vehicles and equipment, and briefly review the next day’s schedule. We also discuss the day’s events with management. 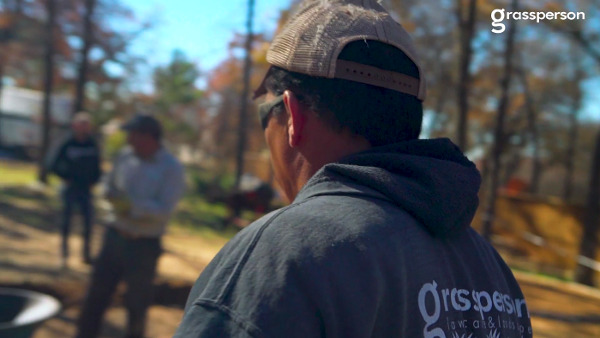 At Grassperson, our lawn care technicians are such an important part of the team—we depend on their expertise and feedback from the field to serve our customers better. 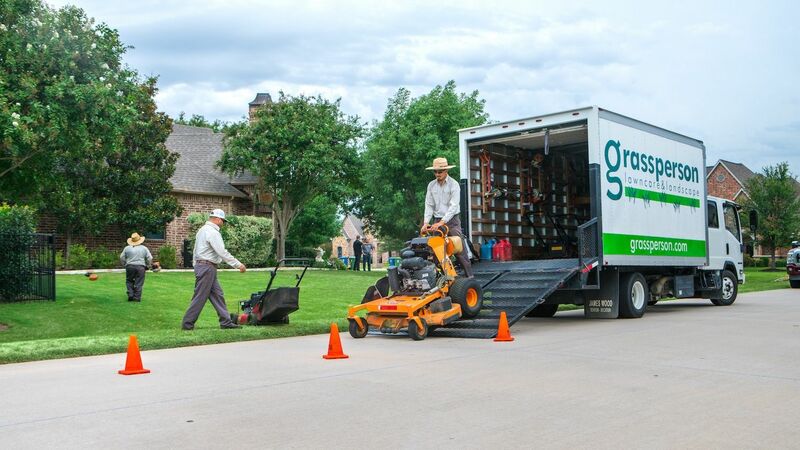 They develop relationships with our customers, and they build a level of trust that gives customers confidence that we’re doing what’s best for their lawn. 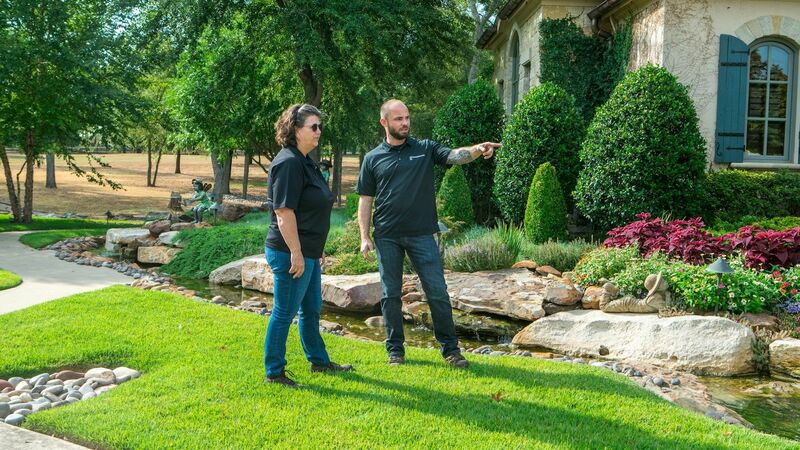 Now that you have a better idea of what a typical day in the life of a lawn care specialist is like, you might be wondering what perks come with the position—what benefits you can expect. 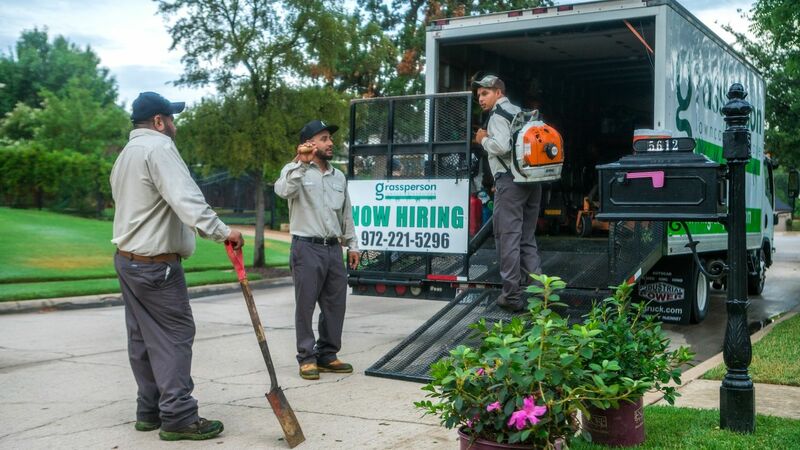 At Grassperson, lawn care technicians get a company-provided cell phone and uniform. We offer paid time-off and annual bonuses, and and we pay for time off during some holidays. All employees can participate in our health insurance program. 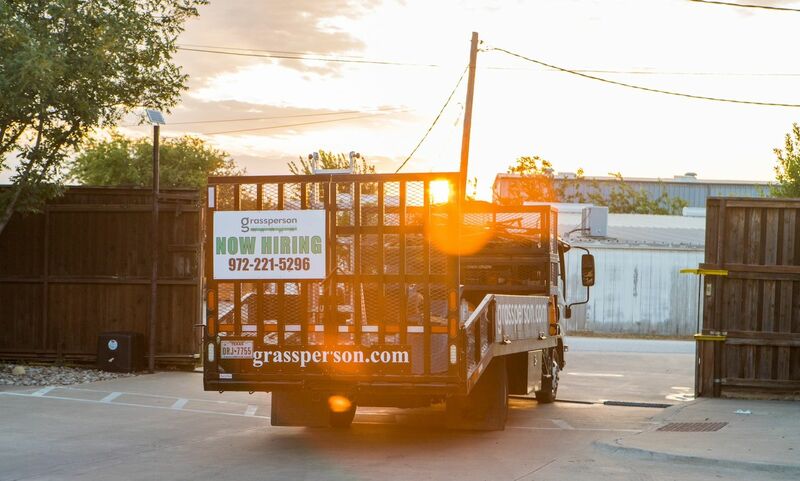 At Grassperson, Safety is the #1 priority and we carry workers compensation insurance in the unlikely event that someone is hurt while performing their job. Also important is the training we provide for employees and career advancement opportunities. We’re focused on making this the type of workplace where employees are proud to spend their time, and the benefits we provide contribute to a better quality of life for our people and their families. 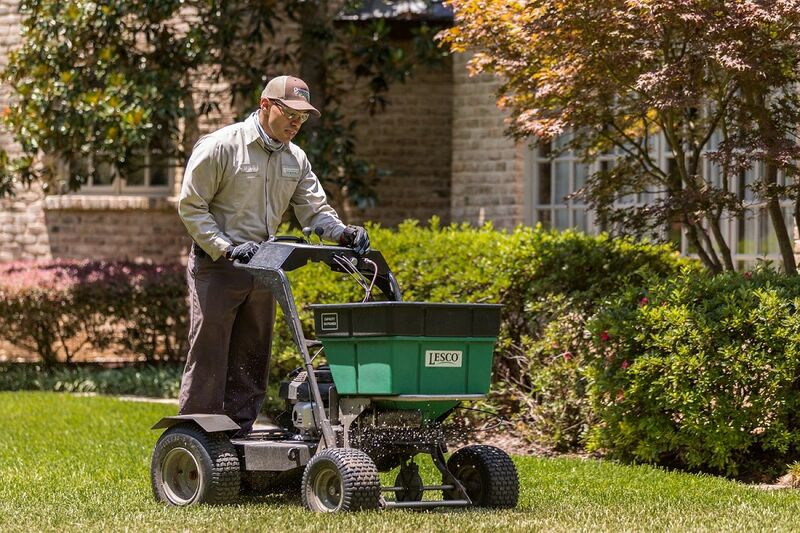 If you’re looking for a rewarding career where you can make a difference and be part of an expert team, a fertilizer tech job at Grassperson could be for you! Check out our fertilizer tech job description. We’d love to meet you.